Oberweis Dairy’s decidedly old fashion home milk delivery and traditional ice cream shops wanted their approach to new business growth to be anything but. 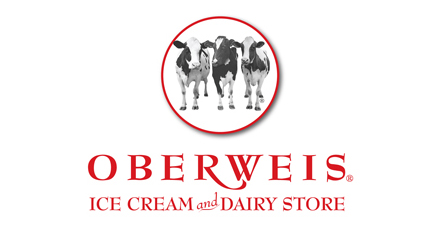 Oberweis operates three distinct lines of business throughout the Midwest – 48 ice cream fountain and dairy stores, a home delivery business distributing over 200 products, and a wholesale operation to local and national grocery chains. The company challenged Zencos to create a BI solution that would illuminate opportunities to grow revenue within their customer base without cannibalizing existing sales channels. “We had data in lots of different formats. Our challenge was to bring the data together, so we could analyze customer behavior and identify up-sell and cross-sell opportunities,” said Bruce Bedford, Vice President of Marketing Analytics and Consumer Insight. Zencos designed, architected, and implemented a centralized data warehouse that standardized and cleansed data from the company’s operating units and created a single view of the customer. “Zencos and SAS allowed us to bring our customer data together like never before and that has really changed our day-to-day business,” said Bedford. “We are able rapidly analyze massive amounts of data to quickly identify new sales opportunities and improve customer service”. Store receipt data can be mined and matched against loyalty card information to cross-sell other lines of business. Built-in analysis illuminates the effects of promotions across sales channels to avoid cannibalization. Customer complaint data can now mined to quickly identify and correct manufacturing glitches, improving customer satisfaction and retention. The success of this engagement has formed an on-going partnership with Oberweis and Zencos. “Zencos is our go-to partner when we need to modify and optimize our SAS environment, or implement new technologies. Zencos is everything you want in a BI partner. They are easy to work with, highly accommodating and very knowledgeable. We have every expectation that this relationship will continue into the future.” said Bedford. Zencos and SAS allowed us to bring our customer data together like never before and that has really changed our day-to-day business.